After my post yesterday I said to myself- you know, I have tons of conversations every week about hair- culture, styling, products etc. SO... I will post the best conversation from every week. Here is the best convo from last week :-) My post-chat additions are in RED. 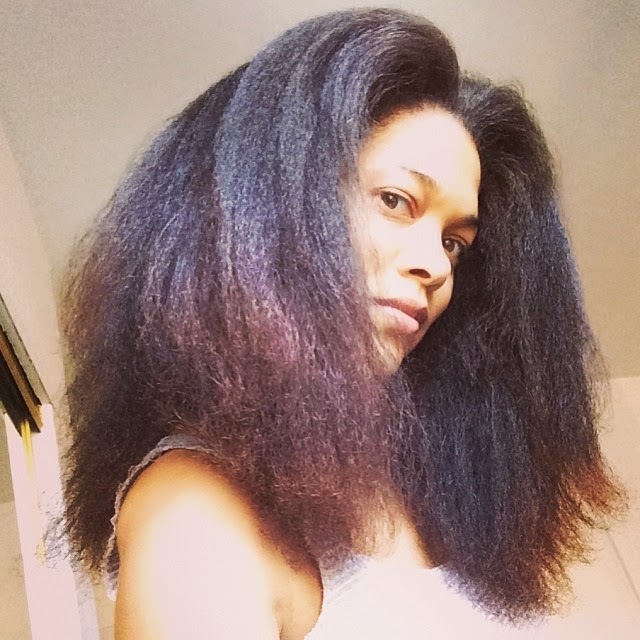 Fabulous Natural Friend (FNF): did i already mention how the whole theater turned and stared at my hair when the lights came on after "Good Hair" the other day? ME: our movie could have us swimming and working out, going out, dancing and looking diva, with our fine men like- weave? who has time for weave? FNF: when are you going? FNF: wait, is this real? FNF: yup. looks good on you. FNF: i don't like it on me tho. I love your version of Good Hair part 2! Roller set = Fail. Recycled chat convo. Flax seed gel results- from the summer.